Buy Handmade, originally uploaded by IheartPGH. I have often blog about this event so I thought it would make sense to post a picture from the event. 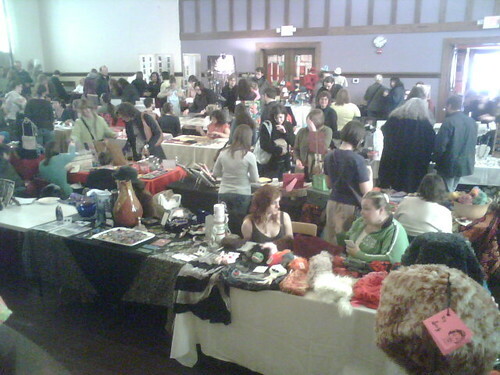 The great hall at the union project is filled with crafters and shoppers from around Pittsburgh. Lots of great valentines gifts. I have my eye on a necklace made from scrabble tiles. Hats, scarves, jewelry, soaps and lots more. I will try to post some more pictures in the flickr account – you should be able to click on the picture above to see more pictures.